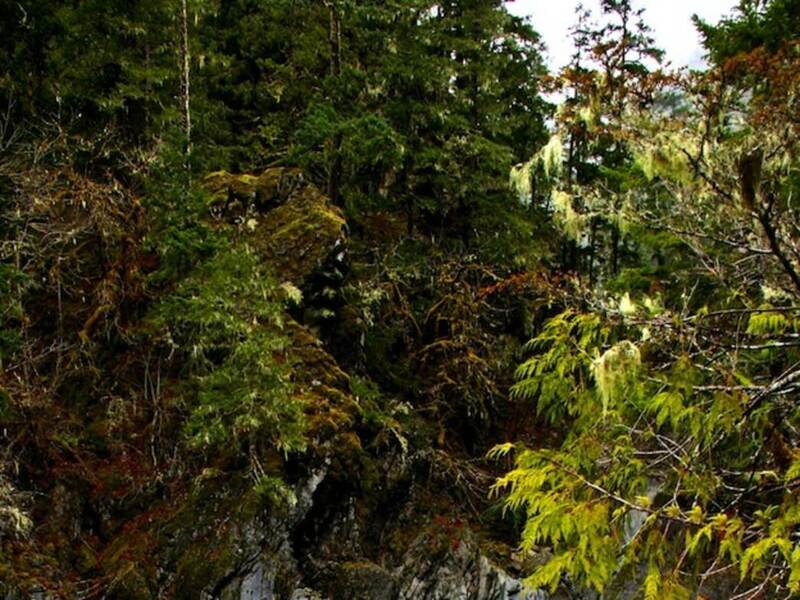 Precariously perched along a wet rocky outcropping at the mouth of a majestic box canyon, Goblins Gate, on the Elwha River, is beyond beautiful. Large rocks resembling salmon fins jut out of the milky river, contrasting sharply against the blues and greens of the steep, rough slopes of this remote Olympic National Park river. Standing on the banks of the Elwha, it is easy to see why the region is a local favorite, as it is full of history, folklore, and amazing hiking. Largely ignored by the throngs of tourists that visit more popular parts of the 5th most-visited National Park in America, the Elwha Region has historically been one of the most important areas on the Olympic Peninsula. The region first drew regional and national attention when it became the starting point for the Press Expedition of 1889, which was the first group of explorers to ever cross the Olympic Mountains. Amazingly, this 5-man group of reporters and pioneers completed their trek during the worst winter in Olympic National Park History. Remote and wild, Elwha later became the home to one of the premier hunting cabins in the region, and most recently, it became the location for the world’s largest dam removal project, freeing a salmon-rich river for the first time in over a century. 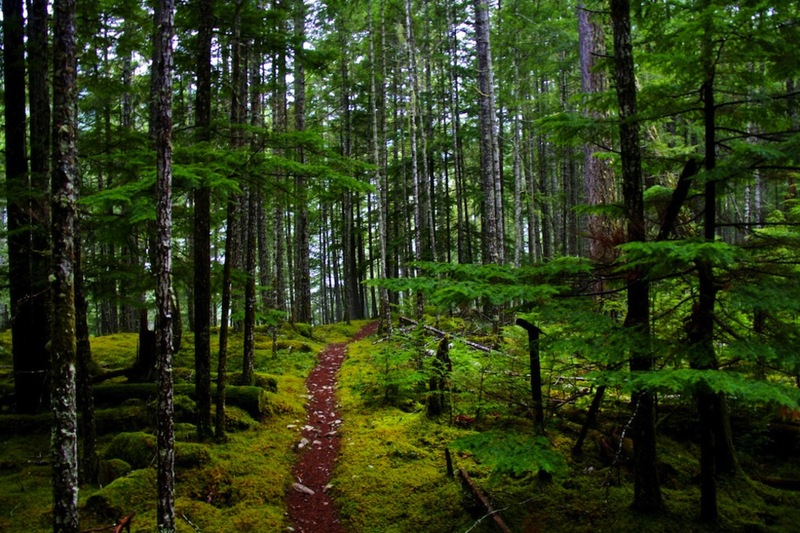 To hike the Elwha is like walking through a time machine that is running backwards. Each step upstream takes you further and further back in time to a place where time ironically ceases to exist. 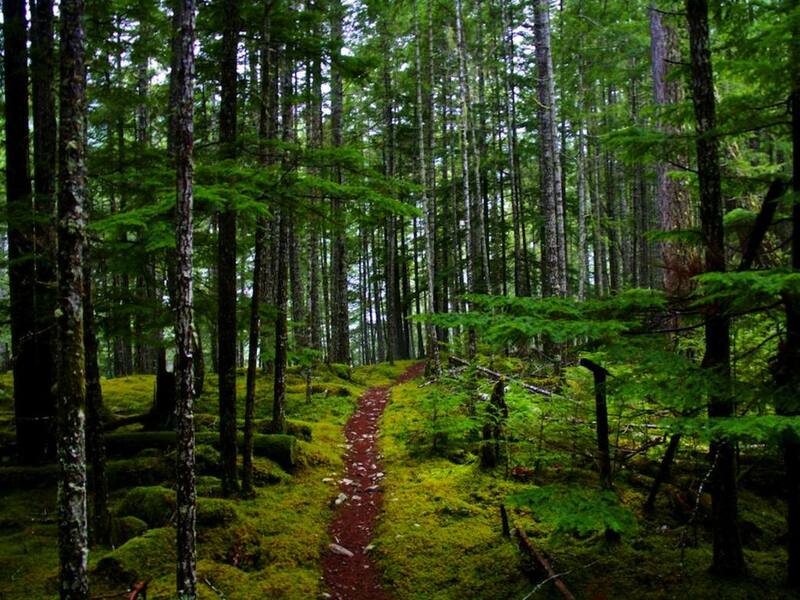 While many trails exist along the Elwha, there are two routes that offer some of the best views and most spectacular Pacific Northwest beauty. From the stunning panoramas at Hurricane Ridge to the mystical and aptly-named Goblin’s Gate, picking a trekking destination along the Elwha is always the right choice. Starting at the Whiskey Bend Trailhead and heading south toward Dodger Point, the oddly-named Geyser Valley Trail immediately takes you uphill to a viewpoint of the Elwha River Valley. While there are no areas of thermal activity, as the name suggests, the region has more than enough attractions. 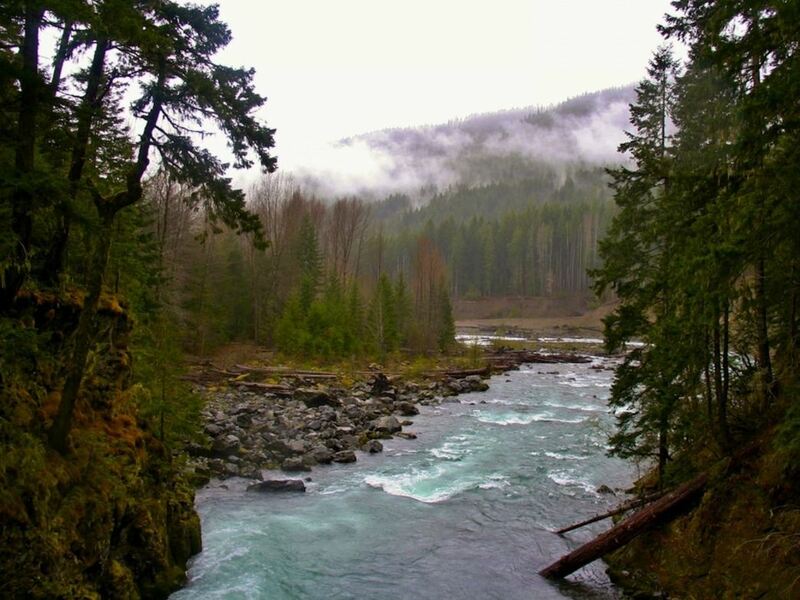 Standing on a bluff above the river below, the Elwha appears timeless and classic, slowly flowing, churning, and cascading along elk-filled banks. As the trail splits, following it down to the river takes you through a magical forest that looks like it belongs in a book of fables or fairy tales. Thin trees follow the dark, wet path, saturated with a brilliant brown contrasting off of the mossy forest floor to either side. Dropping in elevation, the rushing sound of the river soon overtakes your thoughts. Mindlessly in love with the scenery unfolding before you, the Elwha has cast its first charm. As the river narrows from a wide valley, it shifts course and enters one of the most beautiful sections of river. 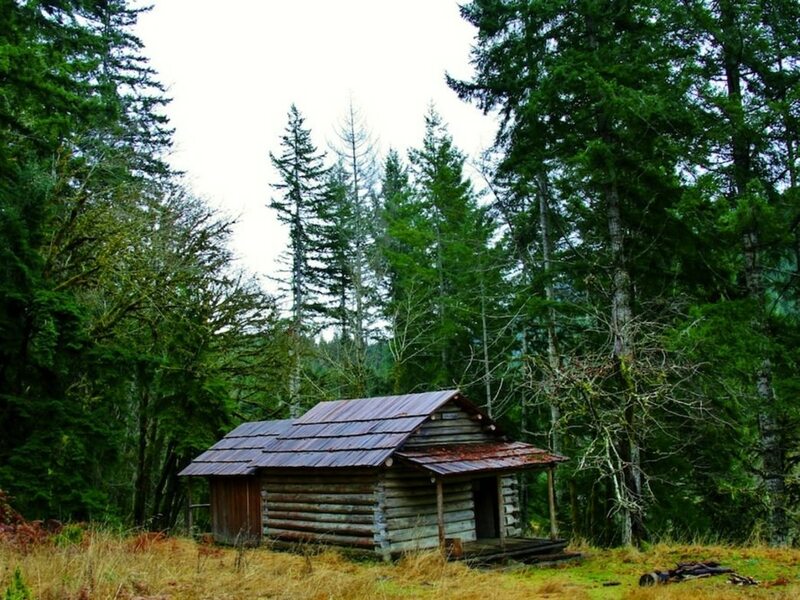 Up-river from Goblins Gate, the path travels through even more mystical forests before eventually leading to Humes Ranch.The Humes Ranch is a rustic cabin sitting up the hill from the Elwha River. Humes Ranch started as one of the first homesteading locations in the region, but soon became famous for being the location of a Walt Disney Film, “Olympic Elk.” The cabin sits vacant, serving as a place to sit and dry off during a wet hike and a place to rest up before taking the trek to the Dodger Point Bridge and the Grand Canyon of the Elwha. 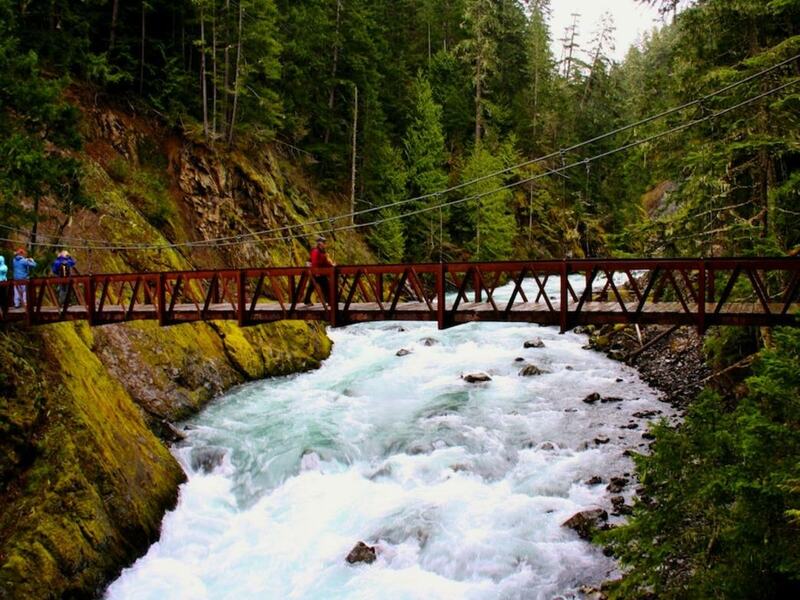 Dodger Point Bridge and the Grand Canyon of the Elwha cap off the amazing sights of the Geyser Valley Trail. The bridge spans the river and the end of the canyon, giving impressive views downriver to the valley, and upriver at the carving power of water tumbling through the Elwha’s Grand Canyon. While obviously not as impressive as Arizona’s Grand Canyon, the much wetter cousin to the Northwest is impressive in its own right. Looking upriver, it is easy to see the power of this river, as she has eaten the banks of the river clean off, causing massive landslides. In the spring, the torrential rains and snow runoff send trees tumbling through the canyon, depositing them like toothpicks in the valley below. Looking downriver, take a moment to appreciate not just the gorgeous valley unfolding before you, but for knowing that the sight of this river, dam free, is something that hasn’t been seen in over a century. At the end of August 2014, the Elwha River had the last piece of two dams removed from its waters. For the first time in over a century, the river ran free, carving an unblocked channel through muddy banks that were previously manmade lakes. As the Elwha celebrates its first unblocked flow, brilliant red chinook salmon have returned , swimming upstream. Passing the sites of the old dams, the salmon are returning to spawning grounds unseen for generations. Suspended in air over the Elwha River on the Dodger Point Bridge, the view transcends time. Taking in the panorama of the Elwha River is truly a magical experience. It casts a spell on visitors, making them hungry for more of this beautiful wilderness. For trail directions, click here.